Amino AcidsScitec Isolate Amino - 500 kaps. 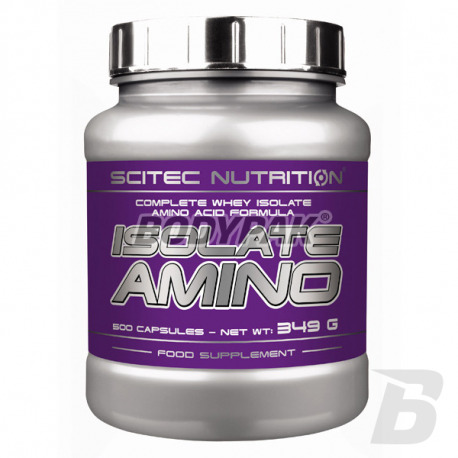 Scitec Isolate Amino - 500 kaps. Isolate Amino - is a blend of essential amino acids, which support maximum muscle growth and maintenance of muscle tissue during dieting or extremely long training sessions. 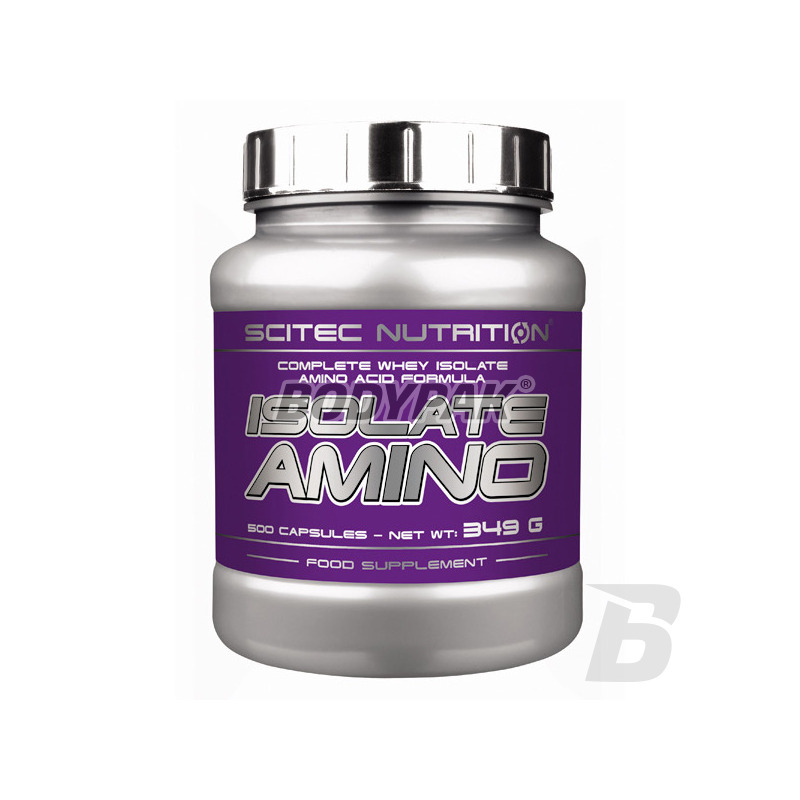 Scitec Isolate Amino - 250 kaps. Scitec Isolate Amino is manufactured from high quality whey isolate protein of high biological value to ensure maximum results. This type of simple amino acids should provide a basis supplement every bodybuilder during the construction of strength and muscle mass. The raw material used in Scitec Nutrition Amino isolate exhibits excellent values in terms of the content of amino acids (EAA essential amino acids - essential amino acids). These are amino acids that the body itself can not produce the other, they should be supplied with the intake of food or dietary supplement. Consume one serving (4 caps.) 30 minutes before each meal. Składniki: Izolat białek serwatki pozyskany przy pomocy membrany przeznaczonej do filtracji krzyżowej (crossflow)(z mleka), żelatyna wołowa, Tauryna, L-glutamina, barwnik (dwutlenek tytanu). Polecam, super sprawa dla osób które chcą popracować nad rzeźbą. Polecam. Dobrze wspiera budowe beztłuszczowej masy ciała i w dodatku wychodzi w miare tanio!